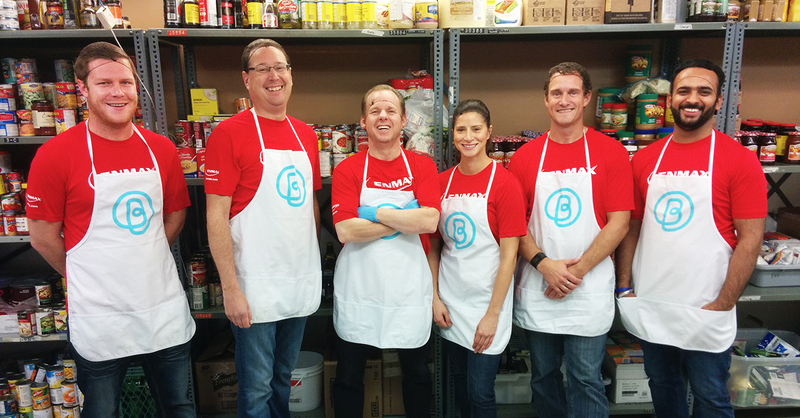 We are thrilled to announce that ENMAX has renewed their partnership with our Community Bridge Program! Community Bridge is a rapid response intervention to stop an imminent eviction and provide interventions and services to ensure that the causes of the eviction are effectively addressed to ward off the re-occurrence. The vision of the program includes strong partnerships across all sectors that leverage existing services while directing funds to the preventative efforts that stop homelessness before it occurs, and sets the stage for actions people and systems can undertake to improve lives and people’s futures. The vision is of a service that reduces the economic costs of poverty that all of us fund in one way or another. Millie’s story helps explain the value of the program. Two years ago, Millie’s rent was raised unexpectedly. She knew she needed help if she wanted to stay off the streets, so she applied for assistance from Bissell Centre’s Community Bridge Program. Community Bridge was able to help Millie afford her rent while she focused on her health and overcoming her alcohol addiction. Without the program, Millie believes she would have been evicted and left homeless once again. Today, Millie spends her spare time volunteering with various organizations, extending a helping hand to others who are struggling in similar ways she was. Thank you ENMAX for your significant contribution and support of our Community Bridge Program. We are so grateful for your support and for the positive impact you’ve made and will continue to make in our program participant’s lives!